Christy Clark set loose her finance minister Mike de Jong to attack the BC NDP's election platform. He raised doubts about his own competency instead. 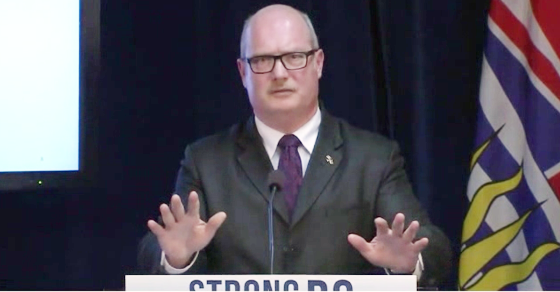 Christy Clark set loose Finance Minister Mike de Jong to go attack the BC NDP’s election platform Wednesday. But instead of persuading reporters to believe his apocalyptic warnings about the BC NDP’s plans to reduce inequality and tackle skyrocketing costs of living in British Columbia, de Jong raised doubts about his own competency instead. For one thing, reporters called out the BC Liberal finance minister for railing against policies the BC NDP has never actually advocated and do not appear anywhere in the party’s election platform. After warning of tax hikes, de Jong left some reporters wondering “how he would pay for his own promise”? “BC voters need to get full and accurate information before they cast their ballots on May 9, says the Liberals’ Mike de Jong. ‘Before they can make an informed choice, they need to know the facts,’ the Liberal finance minister said at a heavily hyped presentation on the NDP’s ‘deceitful’ election platform. Hard to believe this guy is supposed to be Christy Clark’s finance minister. 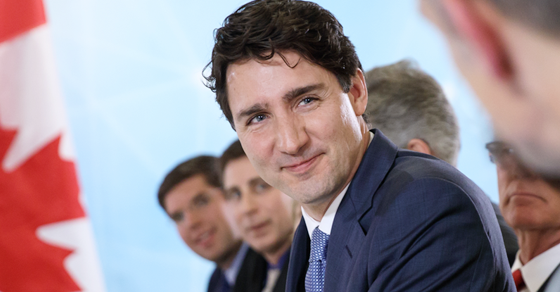 130,000 Canadians signed the all-time record breaking petition demanding Trudeau honour his campaign promise. The Government of Canada has responded to a record breaking petition demanding Justin Trudeau honour his campaign promise on electoral reform.